Hajj is the sacred pilgrimage in Islam that is carried out at least once in the lifetime of every Muslim who is able to perform it. 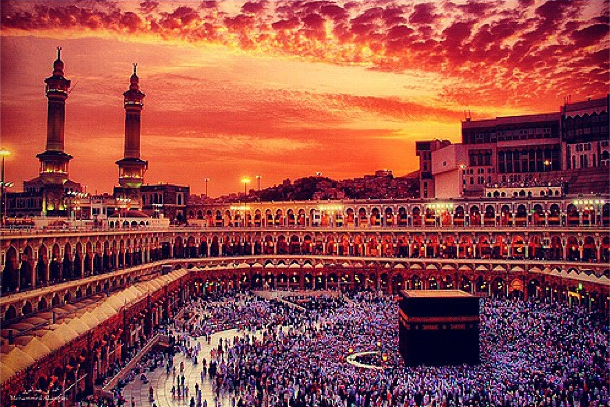 Millions of Muslims from across the world travel to the holy city of Mecca, Saudi Arabia to fulfill the religious rites and requirements which is meant to align one’s physical, spiritual and moral well-being. This journey presents a great opportunity to move away from our materialistic culture and to put into practice Islamic teachings that include care for the environment and its creations. The guide is divided into several sections. The first reviews values and principles of Islam as they relate to conservation of the environment. The second provides guidance on preparing for a Green Hajj and offers advice on the mental state, your purchasing and travel choices and the importance of fair trade products. The third looks at reducing your carbon footprint during Hajj, such as using alternate transit options like the new Mecca Metro; to reduce congestion and pollution. It also reminds those returning that the habits instilled when you go to Hajj should continue when you return to you daily routines, including environmental stewardship. The closing section provides recommendations for governments and institutions organizing the Hajj to make it more environmentally friendly; however, these ideas can be expanded to include our local communities. Overall, the guide provides a quick reference for those contemplating the pilgrimage and summarizes some easy steps that pilgrims can implement during the Hajj as well as action items they can incorporate into their daily routine once they return.